It's Spring and that means the flowers are popping, the pollen is flying, and the birds are chirping. Your garden is rejoicing to the tune of the spring season. Well, guess what? 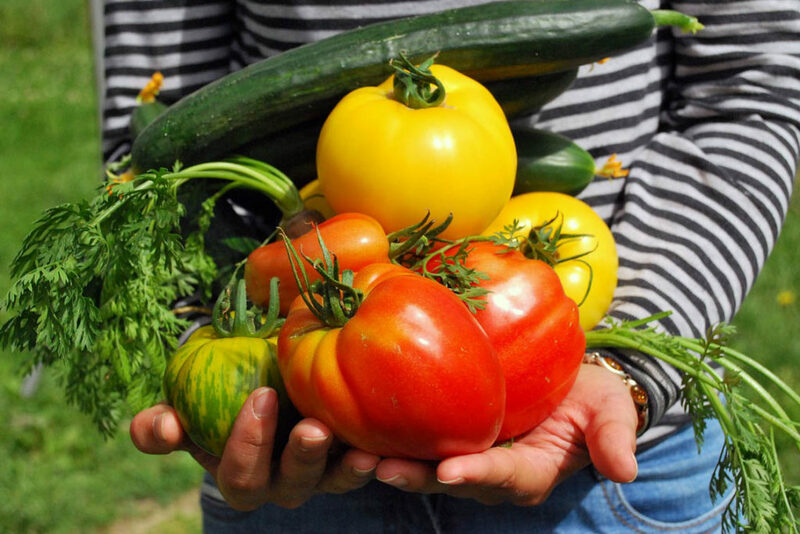 Summer is right around the corner which means it's almost early harvest time for your fruits and vegetables and your garden projects should be underway! Except, oh no! You have been super busy (like us) and have not planted all your fruits and vegetables yet! What should you do? Is it too late to sow seeds or should you use vegetable starts? Are you going to plant your garden in a raised bed or in the ground? Ok, don't panic. Breathe. Sean and I are still working on our spring garden to-do list as we speak. 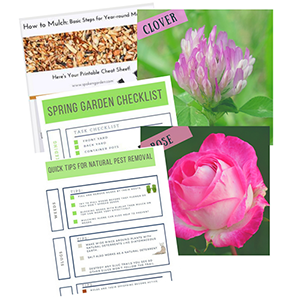 In addition, we have been participating all month in our May Garden Boot Camp Challenge that we created based on our popular post, "Top 5 Spring Garden Tasks You Should Start Right Now." The boot camp has been a perfect way for us to shape up our yard a little bit each day during our busy work week (P.S. you can download our garden challenge by clicking on this link). We are weekend warriors in the yard, like you, and we are here to tell you that you still have time to plant your garden now. If you have never grown your own food before, relax, we can help. If you need help constructing your raised beds, we have you covered. We like to be helpful. So, are you ready to start your vegetable garden, or maybe even revitalize an existing garden area? Which fruits and vegetables can you plant now that you can harvest by summer? Furthermore, can you actually do this in one weekend?!! Well, we hope to answer these questions and more! 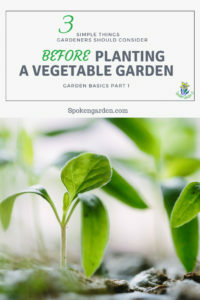 In part one of our two-part series on garden basics, we discussed 3 simple considerations to make as you prepare to plant your vegetable garden. For example: What is the difference between warm-season crops vs. cool-season crops? Should you plant seeds or vegetable starts? How should you arrange your garden and where should you set it up? 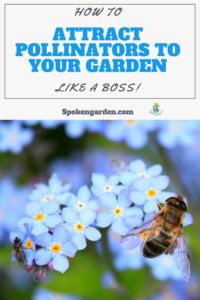 This information could be useful to all types of gardeners, whether beginner or novice. (Need to catch up on that post first? Click here). Speaking of which, if you want to plant some cool-season crops, now is a perfect time to get them in the ground! We have a limited offer for you from the good folks at Burpee Seeds to get $5 off a $25 or more purchase. Burpee Seeds are awesome and known for their high quality. We currently are using Burpee seeds in both our raised beds and in-ground beds. We planted cucumber, tomatoes, radishes, carrots, and lettuce seeds. Salad, anyone?? Rule of thumb: if it has seeds, it's a fruit. No seeds, it's a vegetable. In general, you should pick your fruits and vegetables based on their similar needs for soil, sun, water, fertilizer, and maintenance. This way basic upkeep and maintenance are kept to a minimum. Sure, you can get wild and crazy planting your fruits and vegetables but be aware that you will have more work to do. If you streamline your efforts, as we are suggesting here, then your gardening chores could be easier overall. Otherwise, some of your crops might have completely different cultural and maintenance needs adding to your workload. Soil should be well-drained with sand and also have similar amounts of compost and/or organic material mixed in. There should be enough sun in your garden's location so each plant gets at least 6+ hours of sun, whether full sun or filtered. Watering should be at regular intervals, scheduled, and not pooling for long periods of time in or around any of your plants. Be sure not to over or under water any of your plants so that plant growth and development of your crops is at its peak. Each water issue poses its own problems and pest susceptibilities to the plants. By the way, if you have Gnats all over the place, here are some non-toxic gnat-traps to keep them under control! The maintenance level of your garden should be minimal with basic cleaning of old or dead material, debris pick up, some very light pruning, staking or training, and pest deterrents. Always follow the plant label from the grower or nursery, as they are specific to that crop. This is important for spacing, sun, soil, days-to-harvest, and watering. Alright, let's get on with the main topic. Below, you will read about our recommendations for fruits and vegetables to plant now. Each item is broken into sub-sections so you can quickly glance through our content with ease. We have included how and why to plant each crop, general harvest times, and each crop's pest susceptibility. 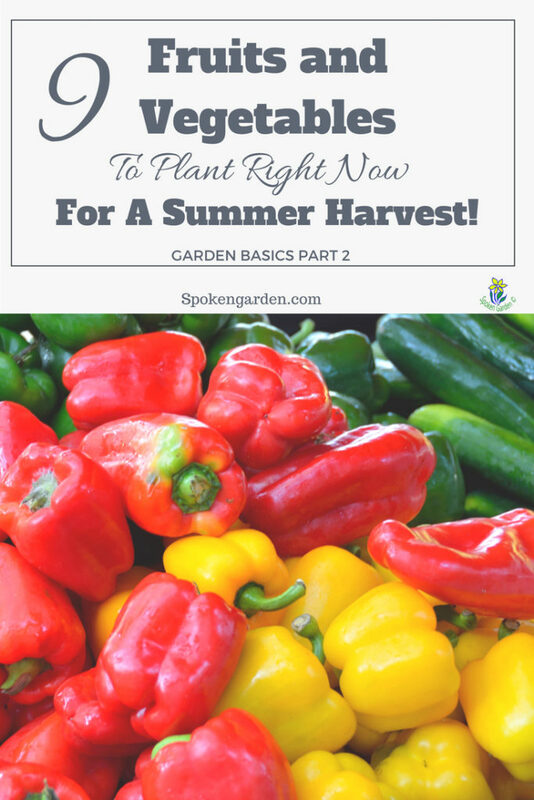 By the end of this post, you will learn about the 9 BEST fruits and vegetables to plant right now for a summer harvest! 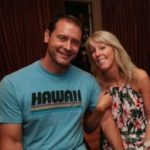 Why: You should be asking yourself "Why Not!" Being prolific and easy to grow, tomato plants usually produce abundant amounts of tomatoes for you and your family to enjoy. They require minimal amounts of effort, besides watering, some fertilizing, and staking or cages. How: Start with a great foundation, they say, so planting your tomato plants is KEY. You need to cut off most of the bottom leaves/stems from the main plant stem, leaving only 2-4 leaf-pairs from the top down. Then dig each plant hole deep enough so the 2-4 leaf-pairs remaining are the only portion of the plant above ground. Another way some gardeners will plant is to burry up to ¾'s or the plant. Also, when planting curve the stem at the base so the roots look like a lettter "J" in the ground when done. This is a GREAT tip passed down by Sean's mom who grew up on a farm!! Then keep up a good watering and fertilizer schedule. Be careful not to snap or break the stem when curving it. A nice gentle curve is what you want. Pest Susceptibility: Can get Aphids, Powdery Mildew, White-Flies, Flea-Beetles, and Fusarium Wilt, to name a few. 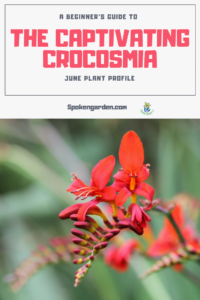 There are more so read up on your specific plant so you know what to look for. Harvest: Can harvest in as little as 70-days from seeds but we recommend using starts. This will yield a crop faster for you. 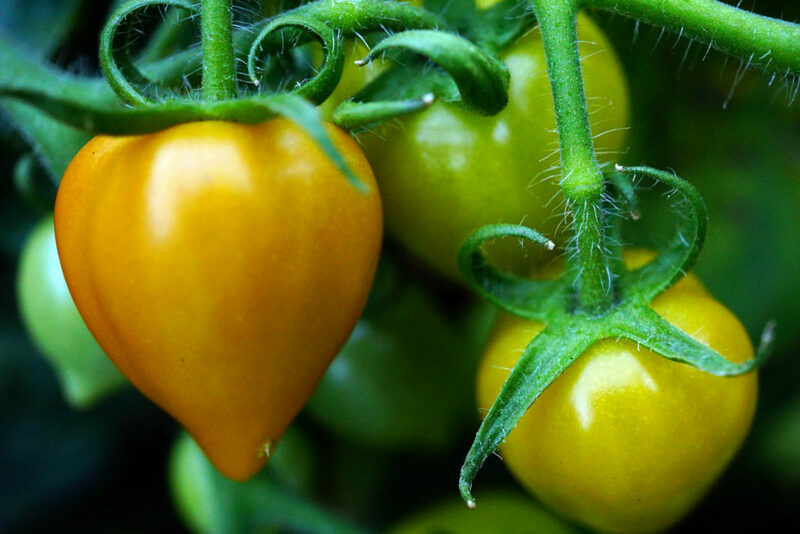 General Tips: Stake them or use a Tomato-hoop for support when they really start producing fruit or they could fall over and could break killing the plant and stopping fruit production. Why: A very easy crop to grow. Corn has very little needs and gives back abundantly. How: Plant in a very sunny area with well-draining soil and give them lots of water. Then, watch them grow. You should have a harvest between mid to late Summer. Be aware that they will grow fairly tall, around 5+ feet. Pest Susceptibility: Corn is susceptible to many different insect pests, including Aphids, Slugs, Spider-Mites, Thrips, Grasshoppers, Cut Worms, Wire Worms, and others. 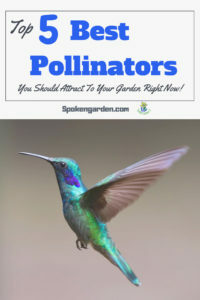 Click here to see a full list and learn more about each insect. Harvest: 60-100 days, depending on variety and growth factors. General Tips: Give your corn plants lots of sun, water, and do not let them get stressed so you have less insect damage or infestations. Why: Like other crops listed here, these are easy and fun to watch grow. How: Plant directly underneath a trellis or string webbing that they can grow on and climb through. You will have to help them at first when they are long/tall enough to reach the webbing, but once started, step back and watch them take off. It's like someone flips a switch. They need well-draining soil in a sunny spot. Pest Susceptibility: White Flies, Beatles, Aphids, Leafhoppers, Spider-Mites are common insects that can infest this crop, so keep an eye out. General Tips: Be sure to harvest every couple of days so you aren't letting them get too old on the vine. Why: These are fun to grow and they add some spice to your meals to make them "hot, hot, hot"! From sweet flavored, to mildly spicy, to SUPER-FLAMING hot, you can add different kinds of zip to your dishes. How: Peppers need well-draining soil and lots of sun, like your Tomato plants. Be sure these don't get shaded out by other plants or you won't get much or any crop from them at all. Also, a little liquid fertilizer, like Miracle-Gro, can really help give them a boost. Pest Susceptibility: Aphids, Spider-Mite, White Flies, Beetles, Wire Worm, and Cut Worm. General Tips: Space each plant out so it has plenty of room to grow and gets the maximum amount of sunlight. When harvesting, either remove the pepper with part of the stem still attached or carefully remove the pepper from the stem by twisting it. This is an easy method to use if it is ready for harvest; if it twists off easily, then it's ready. If it takes some effort when twisting and you have to use two hands, then it might not be ready for harvest (this is Sean's personal preference on harvesting.) Of course, do what you feel is best in your garden. How: Plant these on mounds of 8" or so high and spaced out from 3' to 6' apart. Some varieties can grow 20+ feet. They need full sun and well-draining soil. Pest Susceptibility: Aphids, Beetles, Powdery Mildew, Downy Mildew, Fusarium Wilt, Pumpkin Flies, Cucurbit Leaf-Beetles, and others. Harvest: Can be 55+ days to harvest from seeds. If using starts, the harvest time will vary depending on the age of the plant. General Tips: Don't water plant leaves or stems (mildews form), but also don't under-water the plants as Cucumbers themselves are around 90% water. Why: Great for cool snacks or in different fruit salads. How: Plant when soil temperatures are around 60-degrees or one week after the last frost. Plant seeds or starts in 2's or 3's on mounds being 1.5 to 2 feet between mounds. If planting more than one row, then the rows need to be 4 to 6 feet apart. Soil should be slightly acidic, around 6 to 7 pH. These guys need a lot of water so don't be bashful, BUT don't get their leaves wet because they are very susceptible to fungal and different rot diseases. Pest Susceptibility: Very prone to water-borne diseases. Also, they are susceptible to borers which carry a bacterial-wilt, and beetles and aphids that carry different mosaic viruses. Biological control is possible of these insect pests. Check out this link for Bat-Houses for Insect Control! Harvest: Most melons will be ready for harvest in 70 – 110 days from seed planting. If using starts, the harvest time will vary depending on the age of the plant. General Tips: Don't overhead water these plants due to increased fungal and water-borne diseases. Use drip irrigation or soaker-hoses that don't touch any plant parts. Why: One of the most nutritious vegetables to grow and very versatile for cooking. Think grilling! How: Seedlings and starts need plenty of room to grow so don't over-crowd them. They need to be planted in full sun with well-draining soil and regular watering. They prefer to be planted on mounds higher than the surrounding garden soil. 2-3 plants per mound is what most directions on seed packets and pony-packs say. Pest Susceptibility: Aphids, Pumpkin-Fly, Cucurbit Leafe-Beetle, and others. Harvest: 7-weeks from sowing or planting. General Tips: Squash thrive in containers and growing one or two plants in a 5-gallon or larger pot can produce a great harvest. 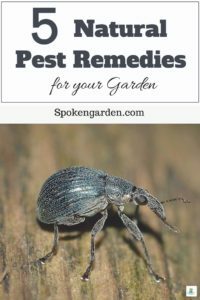 They are also susceptible to Downy and Powdery Mildew, Fusarium Wilt, and Phytophthora Root/Crown Rot, amongst other diseases, so read up on these and how to prevent them. Why: If you like fresh lettuce salads, then you need to plant these. Lettuce requires very little effort with a big-payoff. Basically plant, water, harvest, and eat. That's it. With all the different varieties, they have different textures and flavors; some more sweet or some more bitter. How: Needing full sun and regular watering so they don't wilt or become stressed. The soil needs to drain well, and overhead watering is fine. From seeds, plant ¼ inch deep in rows about 8-12 inches apart. Water lightly until the seeds have germinated and the seedlings are a little stout, then let it rain. Thin out plants to a spacing of 8-12 inches and get those salad forks ready. Pest Susceptibility: Aphids, Army Worms, Corn Earworms, Crickets, Beetles, Grasshoppers, Leaf-Miners, Snails and Slugs, Thrips, Weevels, and White Flies. General Tips: Even though they are easy to grow, you can see that they are susceptible to many different pests so don't let them get too stressed (meaning don't over or under water them). Plant in good soil, and keep an eye out for other environmental or cultural needs. Why: Who doesn't need iron in their diet? Plus the flavor of Spinach in your salads or other meals can't be beaten. How: Needing full sun and regular watering so they don't wilt. Well-draining soil is best and avoid over-head watering to keep diseases and pests away. From seed, plant to a depth of ½ inch and then once they have germinated, thin the plants so they have 6-inches of spaces between them. If planting starts, plant them 6-8 inches apart and don't bury them; plant at the same level as they were in the potting soil you purchased them. Pest Susceptibility: Slugs and Snails, Flea-Beetles, Aphids, Leaf-Miners, and Cut-Worms. Harvest: Within 40-48 days from seed. If from starts, then sooner. General Tips: If planting in containers, you can sow 7 seeds per pot, but at the same depth of ½ inch. With its' pest susceptibility, it is also open to infection by Powdery Mildew, Damping-Off, and different viruses. Need more help? We have a FREE printable mulching cheat sheet right here! So there you have it, 9 fruits and vegetables that you could plant right now and harvest by summer. If you are new to this, you probably feel a bit overwhelmed or that there are more fruits and vegetables available than you could possibly ever plant! Our advice is to take it slow. Choose 2-3 options above for your first season and see how it goes. Or, jump all in and plant everything! It just depends on the time you have available. Hopefully, with our top 9 list above and our planting tips, you can plant your garden full of fruits and vegetables with ease! Prepping your garden will take some time and energy but you will be rewarded each time you sit down and eat a salad with ingredients picked from your own garden. After reading this list, which fruits and vegetables do you want to plant? Comment below and let us know! Thanks for reading and we hope we inspired you or educated you in some way. For more information about spring garden information, listen to our podcasts or check out our post about how to mulch so you can get your garden ready for a fantastic season ahead! Make sure to watch for our next blog post where which will be our May plant profile, the Fantastic Fuschia.